I was one of lucky winners in the Le Petite parade for February's project of "Sweet Spot." I won a Layer Cake of my choice from the Fat Quarter Shop! I was so excited and it took me a while to pick, but I finally chose the new fabric line from 3 Sisters called Grace. It just arrived! It is GORGEOUS!! It's their Christmas line, but it doesn't scream Christmas. The colors are rich and yummy. Creams, greens, reds and deep browns. Love it!! A big thank you to the Fat Quarter Shop!! It's a beauty! Looks better than I imagined it would. It's such an upgrade from what we had. Wow. It's so nice and pristine. I don't want to put anything in it!! :-) Actually, I have very little to put in it anyways. I desperately need to go grocery shopping. With our little fridge in the garage jam packed with condiments I never knew we had so many and the girls not being home, I have put off going grocery shopping. I will definitely need to go because the girls are coming home tonight. I can't wait to see their little faces light up when they see the new fridge! I have been very busy working on my 30s quilt. It's taking me longer than expected because I've hit a few bumps in the road. I know it's all about the learning process of being a newbie longarmer. All my bumps have been in the quilting designs I wanted to do, not the quilting itself. 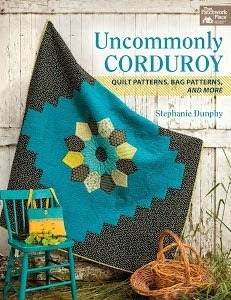 The quilting is gorgeous, so that's a good thing. First, I wanted to curl feathers in the border. Well, the problem is you can't even see their beauty with the busy border fabric, nor could I really see to quilt them. I tried everything to make them work. I even tried several different threads, but eventually I had to concede that a simpler design was the way to go. This translated to a lot of frogging. Also, my backing fabric wasn't very conducive to heavy custom quilting either. It's too busy as well. I love that I'm learning all this NOW because it will help me when working with clients on choosing the best quilting for their quilts. I took off the word verification setting when leaving comments. I wanted to make it easier and more enjoyable for readers to leave comments. We'll see how it goes. Hope everyone has a great weekend! Love your fridge, it is just like mine, lol. I love the freezer in the bottom and of course all the crushed ice I can ever want. I would like to have those kind of deliveries much more often at my home. The fabric line is oh so pretty. And you are right that it does not scream Christmas. I like that. Congratulations on your fabric win. It is beautiful and doesn't look at all like Christmas. Love your fridge. I'm so envious...all the room, the ice crusher,etc. It is so glossy! I bet you are thrilled. Love the fabric that you won. It certainly doesn't scream Christmas. I'm also envious of your new fridge. It's a winner also. Congrats on the fabric win. I've been looking at the Grace line for a while now...do you think you could use it in a quilt that wasn't Christmas related, or it won't look Christmas? I love the fabric don't really want another "christmas" looking quilt. Beautiful fabrics, it is fun to win goodies and get them in the mail. Love your new refrigerator, doubt it would fit in my kitchen. I would be happy with a new one that has the freezer on the bottom so I don't have to bend to get everyday items. I just peeked through some of your older posts and had to say that your quilting is just amazing. Lucky you , beautiful fabrics ! Lovely fridge too and I love your kitchen cabinets. Oooooo.... the Grace fabrics are beautiful.... and what a bright, shiny new frig... what fun! What a yummy layer cake! I love the FQS too! I have that same fridge except I chose not to have the water/ice outside. I didn't want the kids abusing it like they did on my last fridge. I took off word verification and it was a nightmare!! I still have it off but I now set my blog so that I can OK the post before it gets published. Much better!! Let's see if you get any spam. Congratulations on your win!! I'm itching to get my hands on some Grace, its such a beautiful collection. Love your fabric choice......I've been looking at that fabric too :-) Enjoy it! Your new fridge is beautiful!!! I can't wait to see more of your quilting :-) I've always wondered if the word verification really made a difference. You'll have to let me know. Enjoy your weekend! Great fabric...looking forward to seeing what you do with it! Beautiful fridge too! I love the fabric you picked, Linda - it can go for any season! 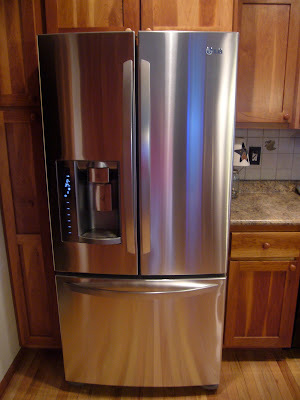 Your new fridge is the same style we have with the freezer on the bottom and french doors - I LOVE it! You can hold so much more food and see it well, too! Hang in there - I know your 30's quilt will be a knockout! What a day, congratulations on your win and I love the new frig! I just got a stack of Grace at my house, I agree, yummy! Ok, so the curling feathers didn't work, that's too bad. I've learned you have very good judgement and it will look just fine. Love the fridge, I'm sure the girls will be so excited. I missed that you won, and I looked too. Must be I didn't have my readers on. lol We are in Troy, AL and will be home Sunday, yeah. I'm sick of the road and want my own bed and sew on an actual sewing machine again. I miss it. The fabric is so pretty- congratulations on the win! I would have a hard time touching the fridge and leaving prints!! Wow! What a beautiful fridge! Sad that I get excited about kitchen appliances, but they are used frequently every day, especially the fridge. Congratulations on the win! Nice choice! The frites is great. We have wanted a bottom freezer forever but we can never find one that fits our opening. I love that fabric too. Like you say...doesn't scream Christmas. Glad you are getting a lot of sewing dine. Thanks for taking off word verification! Wish I could figure out how to do that in type pad. I meant "fridge" not "frites". Dang autocorrect! I love your new fabric ... lucky girl! You will enjoy your new fridge ... it looks great in your kitchen. 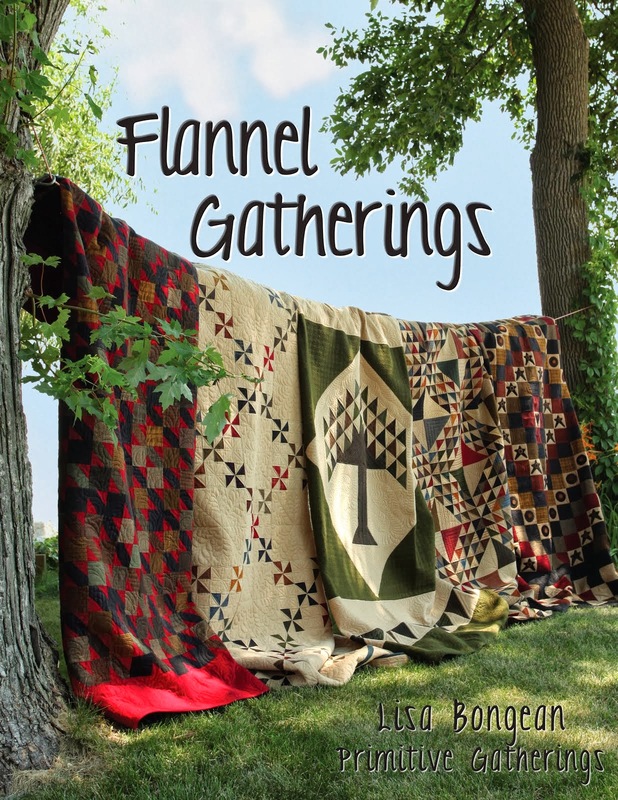 I know your quilt is gorgeous and I can't wait to see it! Wow - congratulations on your beautiful win and on that glorious new fridge! I loved your curved feathers on the muslin, I do think they'd disappear on a busier fabric...but oh they are so very pretty. I've had the word verification off my blog for quite awhile - blogger seems to catch ALL of the spam comments, and doesn't allow them to be posted. Just check the spam section once in awhile and you'll be fine! LOVE the new frig doll! Another great fabric from 3 Sisters. Your fridge is beautiful, looks so nice in your kitchen. Congratulations on your win, 3 Sisters have designed some gorgeous ranges, this seems to be another! Lovely, shiny, new fridge, lucky you. I was looking at your quilting on your 30's quilt, it's really beautiful. Love how you are still calling yourself a "newbie", with quilting like that!?!! congrats on your win and your new refrigerator. That will be my next refrigerator. Our is about 16 years old and white. It has been a good one.